We all got very excited with the arrival of Sanchez and Debuchy. Wenger means business, he is addressing Arsenal’s deficiencies with high quality purchases we thought. Next will be a goalkeeper and a central defender as it is imperative that these huge gaps be filled. And I expect that this will be addressed soon enough (the Ospina deal will probably be announced when the team return from the States). But wait a minute. Wasn’t another centre forward a top priority? Was it not the major reason that the title bid crashed last season? Wasn’t Giroud a spent force in the second half of the campaign? But what did Wenger do in the last January transfer window? And what has he announced that he will do this transfer window? No more forwards he said. And I am not convinced that Sanchez will be the devastating forward that we all want. He is a great player but neither has he the experience of playing as a forward (in a false number 9 system) nor will he have the Premier League nous in his first season in a foreign to him League. Remy would have been ideal for Arsenal. He is PL experienced and could play in the centre forward position no problem. He could play in the wide position too! And if this is not enough the other reinforcement needed in this squad, in the defensive midfielder position, is yet to be filled. Bids have been made for Khedira and for Carvalho. Wenger will probably not buy anyone in this position. He has said so after the Boreham Wood game! So a centre back (if Vermaelen goes) and a goalkeeper will be your lot. In fact I believe that we need two centre backs to cover for injuries, suspensions and loss of form. This is because defenders along with the goalkeepers are the positions that get the most injuries and red cards. Last season Sagna was able to play this role. Who will be this season? It looks like Wenger will be riding his luck again. And jeopardise Arsenal’s chances for the title once again. 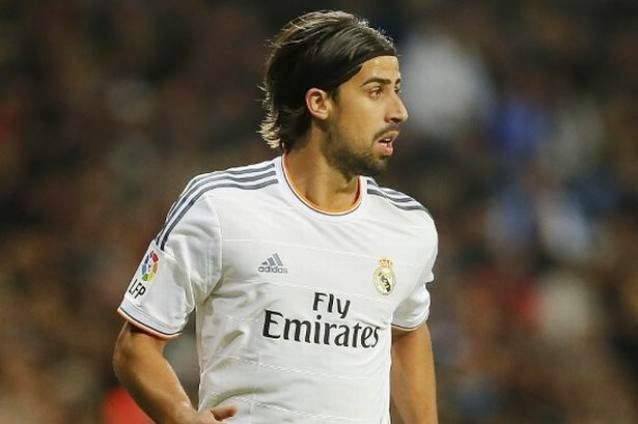 Sami Khedira's move to Arsenal had looked really on when Wenger put in a bid which was accepted by Real Madrid. The only matter that remained was the player's personal demands. But the salary requested would have broken Arsenal's wage structure. We were all very excited of course. Some compromise would be found we thought. But as usual that man, Jose Mourinho, decided to put a spanner in the works. He called Khedira up and tried to persuade him to join Chelsea. Mourinho did after all sign him up for Real in the first place. But now the deal could be on again. For two reasons. Firstly, that man has announced that he is done with bringing more players in for Chelsea. If he is to be believed this leaves the field open for Arsenal. But secondly the player's club is about to sign the boy wonder James Rodrigues from Monaco for 63m and this requires funds, lots of them. And they need it fast as the deal for Rodrigues will be announced probably tomorrow, Monday 21st July. The title is on I tell you. Arsene Wenger seems to have gone full circle and changed his transfer policy. Gone are the days when young promising kids and the odd grown up were the most we could hope for. Last season it was Ozil the seasons before it was Cazorla, Podolski, and Mertesacker. Seasoned and mature players. As a result the FA Cup was at long last added to the trophy cabinet after a 9 year wait. And this season Wenger is surely gunning for the title. The imminent capture of Sanchez, a marquee signing and of Debuchy (who was keeping Sagna out of the France national team) is a continuation of this policy. Arsene’s intention is to add another striker to the squad who appears most likely to be Remy. This will address one of the gaps that appeared last season where Giroud could not be relied upon to carry us on his back for the whole term. And if, as it appears, Khedira wants to join his German team mates at Arsenal, then Bob is your ankle the penny will drop! For with the addition of a world class defensive midfielder, whoever that may be, to provide protection for the back four then I don’t think that there will be a team able to stop us from taking the Premier League by storm. 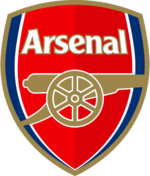 Add to these world class players the return of Walcott (probably in September, but Sanchez will be just as good on the wing in the meantime- he was good enough for Barcelona in this position), Ramsey, Wilshere, Cazorla, etc and you have one the strongest squads in the Premier League. Subs: Choose from the following squad.